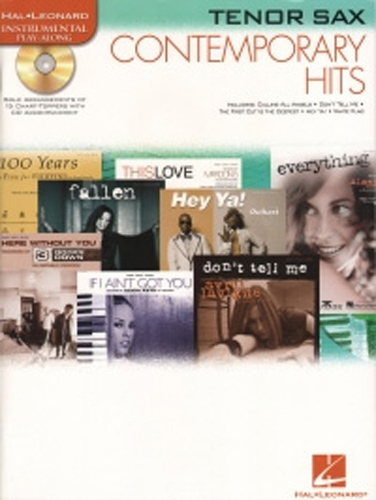 Hal Leonard Instrumental Play Along series - Contemporary Hits, for Tenor Sax. Solo arrangements of 15 chart-toppers with CD accompaniment. Titles include - Accidentally in Love; Calling All Angels; Dont Tell Me; Everything; Fallen; The First Cut is the Deepest; Here Without You; Hey Ya; If I Aint Got You; Its My Life; 100 Years; Take My Breath Away; This Love; White Flag; You Raise Me Up.